Returns and refunds are a daily reality for eCommerce store owners. Your customers might decide to return some products they purchased, and you will have to provide a refund for that. And when you consider the eCommerce business model, it is sort of inevitable. However, the way you handle returns and refunds on your store makes a lot of difference to customers. In fact, it is a significant factor of good customer experience and can lead to customer loyalty. WooCommerce, by default, lets you manage automatic and manual refunds on your store. Read our guide to understand more about how WooCommerce helps you manage refunds out of the box. 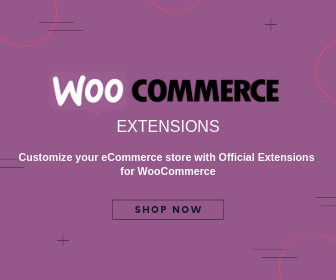 In this article, we will look into some of the important aspects you need to take into consideration while handling WooCommerce returns and refunds. Compared to physical stores, the share of returns is quite large in eCommerce sector. There are several reasons for this, such as problems with the product or failing to match expectations, damage during shipping, customers changing their mind, etc. And the worst part is that mostly store owners need to bear the cost of returns as well. When you think about this cost piling on the obvious decrease in revenue, it could mean a significant loss. Majority of your customers will check for your return policy before initiating a purchase. And in a lot of cases, they might simply leave your site if you don’t display a clear return policy. That means it is a very important factor that has influence over the purchase decision of your customers. So, crafting a return policy is one of the first things you need to manage when you start your store. You also need to make arrangements to handle the logistics of the return, and how a refund will be processed. There are several strategies that you can adapt to make this as smooth as possible, and you will find a range of tools to assist. Let’s delve deep to see further. As mentioned above, crafting a return policy is one of the most important steps in store management. How lenient you want it to be is something you have to base on your product range and customer base. However, an interesting fact pointed out by expert analysis of several eCommerce stores is that a flexible return policy helps to increase repeat purchases. The chances of customers buying from you again increases considerably, when they have experienced a hassle-free return with your store. And to assert this fact, there are studies that say customers prefer to not shop from you, if your return policy is harsh and tiresome. Here is an important study that proves the influence of free returns in ensuring repeat purchases. How you display the return policy is another important aspect to consider. You need to show it in a way that your customers will notice. And the terms of the policy should be clearly defined so that you are setting the expectations right. For example, you need to give clear instructions on how to initiate a return in case customers are not satisfied with the product. In addition, you can provide information like the average time it will take to process the return. Also important is information on when the refund will be initiated; whether you need the product back in the warehouse, or you will start the process as soon as the customer initiates a return. If you are not sure about what all to include in a return policy, you can always check out the ones displayed on competitor websites. Going through the return policies of eCommerce giants like Amazon will definitely give you a better picture. Misleading product information can be one of the major reasons for returns on your store. It can majorly upset customer expectation if your product is not living up to the promises that it makes on the product page. Featuring accurate descriptions and images on your product page is absolutely necessary if you don’t want to upset your customers a lot. 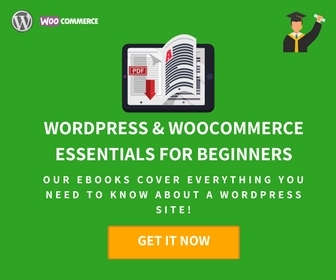 Here is an article that will help you create interesting and transparent product information on your WooCommerce store. What other users talk about your products means more than the product information that you provide on the store. So, you need to make sure to give the required attention to product reviews. Here is a plugin that can help enhance your WooCommerce product review strategy. 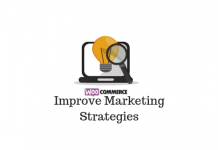 This plugin helps you improve the existing review functionalities of your WooCommerce store. With the help of this one, you can accept photos and videos related to the product from the customer. In addition, you can encourage customers to address specific aspects of the product in their reviews through questions. You can also provide an option to customers to sort and filter reviews according to the rating or relevance. Some store owners include a pre-paid return shipping label, when they send the package to the customer. This is a very clear strategy to tell customers how much you care about ensuring the best experience to them. Also, it can be a very practical scenario for certain businesses that rent out products. Naturally after the rental period, users can send the product back using the return label. However, this can be an expensive affair for other eCommerce shops that sell products normally. It will cost you a fixed amount, irrespective of the customer sending the package back or not. A good solution will be to invest in a good shipping plugin that will help you print return labels without hassles from the WooCommerce admin area. 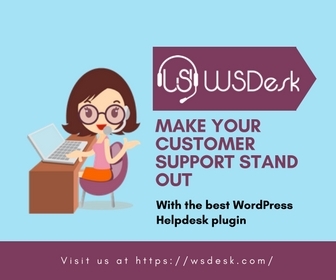 Find a set of highly popular shipping plugins that will help with your order fulfillment. There is a way to include a return shipping label that won’t be charged upfront. If you are using a fulfillment option like Shippo, you will find a solution for this. Shippo offers scan based return shipping labels, which you can print for free. And you won’t get charged until the customer uses it. When a customer uses this label to return a product, you will be charged based on the weight of product in the original package that was sent to the customer. At the moment, Shippo offers scan based labels for FedEx, UPS and USPS. Also note, you need to use the same carrier you used for the original shipment to facilitate the return as well. Shippo offers scan based return shipping labels that you can pay for only if the customer uses them. You can find more information on Shippo return labels here. You must have definitely thought of a deadline within which customers can return a product they purchased. The general deadline that a lot of stores maintain is 30 days. However, according to studies, increasing this deadline also won’t be a bad idea to help with returns. Apparently, the longer a customer uses a product, the more attached they will get to the products and the chances to return will reduce. How to manage returns on your WooCommerce store? You might want to create a system to offer hassle free returns to your customers. It should be able to help you determine the eligibility of a warranty request and accordingly initiate the process. Let’s look at a plugin that will help you manage this. This plugin will help you manage all your return and warranty requests from your WooCommerce admin. You can manage Return Merchandise Authorization (RMA) too, which is an important step in initiating the return process. Here, your customers need to contact you before initiating a refund. Once you approve it, they can send the product back. You will be able to add a return shipping label, which customers can use to return the product. There is also an option where you can request the tracking code from the customer. The plugin helps you set up warranty terms for products you sell, including their dates of expiry. In fact, it helps you offer extended warranty as a paid option on your store. At each stage of the return process, the plugin sends email notifications to keep customers aware. It will also help you request additional information from customers in the form of photos, before approving a return request. And from the customer perspective, they can request to avail warranty from the order details page, or through a separate form. If you have included a return shipping label, the customer can access that too from the order details page. The plugin would cost you $79 for a single site subscription. 5-site subscription is $99, and a 25-site subscription is available for $199. This plugin will help you manage refunds easily from the admin side of WooCommerce. And, it will be particularly easy for customers too to initiate a refund. When your store features a smooth refund process, the overall customer experience on your store improves. This will in turn, contribute to repeat purchases and loyal customers. The plugin helps you offer refunds for the complete order, or only for specific products part of the order. You can also set a limit for the number of days within which customers can request for a refund. This plugin will help you manage refunds smoothly on your site. The plugin gives you control to approve a refund request from a customer. Alternatively, you can allow automatic processing of refund requests which doesn’t require the RMA step discussed above. In addition, you can set a threshold order value to consider refund requests. The payment process too has the option for manual or automatic processing. However, you need to make sure your payment gateway offers the feature for automatic refund processing. Some cases, you can offer a coupon in place of a refund. This would ensure that you are not losing out on the revenue of the refunded product. You can also set a validity date for the coupon. YITH Advanced Refund System also helps you make sure your stock quantity is updated automatically after the refund. Users can explain the reason for refund request and upload images or any other files to support their cause. If you are rejecting a return request, you can do so in a single click with a dedicated button. It also offers an option to display a message on the product page, if it is not available for refunds. The plugin also provides automatic email notification informing users and store managers about the status of the refund. The single site subscription of this plugin is €57. A great way to reduce the shock of a refund is to offer store credit to customers. That way, you can make sure that the customer will make a purchase on your store itself. You can use this strategy on certain types of refunds, where customers wouldn’t mind the store credit option. The advantage of store credits is that customers can use it for multiple purchases of different value. You can specify an expiry date too until the coupon will be valid. In specific cases, offering store credits in place of refunds would help you reduce the loss in case of returns. The plugin is quite easy to use. You can simply specify the customer email and the credit amount to generate a store credit coupon. The single site subscription of the plugin would cost $29. Though it is sort of unavoidable in eCommerce, you can still reduce the number of returns and refunds on your store. One of the primary steps you have to take is to depict your products with accurate information. If you are setting the right expectation in the customer’s mind, you can avoid a lot of dissatisfaction later. Moreover, you can use one of the popular plugins to manage various aspects of refunds. 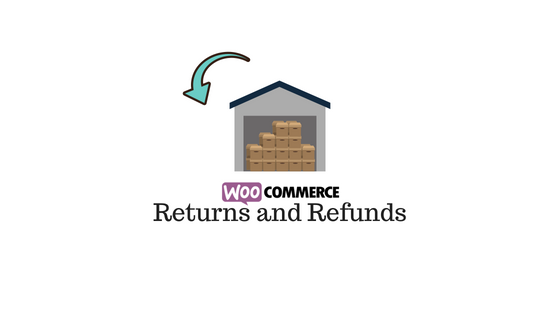 Hope this article has given you an overview on handling returns and refunds on your WooCommerce store. How to handle refunds with defaults WooCommerce settings? How to display product information correctly? Hi, sujith, my self bunty, i m looking for Order cancel, Exchange, Return Request management plugging (all in one) for woocoomerce. Please suggest me name of this kind of plugging.